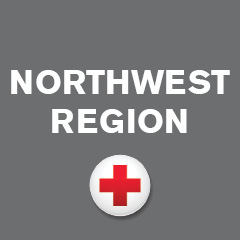 With the impact that The American Red Cross has, not only my area, but our world, I couldn’t think of a better non-profit company to devote my time to. In late 2016 I reached out to The Red Cross in hopes of becoming part of preparedness education efforts in my community. As a full time student and employee, I wasn’t sure I had enough time to give. The Red Cross has been so flexible with my schedule that I am able to go out and be face to face with the people we help on the weekends. I am also able to call into planning meetings during the week when I am on the go. I love being able to give my time to those who may not have the same opportunity or resources as I do. Since volunteering with the Red Cross, I have been able to plan events that educate and give individuals and families a safer home. I have seen the impact that an educational conversation and a helping hand has had on my community. There’s a quote that says “A thousand candles can be lit by one single candle.” The Red Cross has given me the opportunity to be that candle and see first hand other people become inspired to want to become more involved. That’s why I volunteer. How many “candles” could you light as a Red Cross volunteer? Join us today and discover what kind of difference you will make.